I decided to make rolls last night. 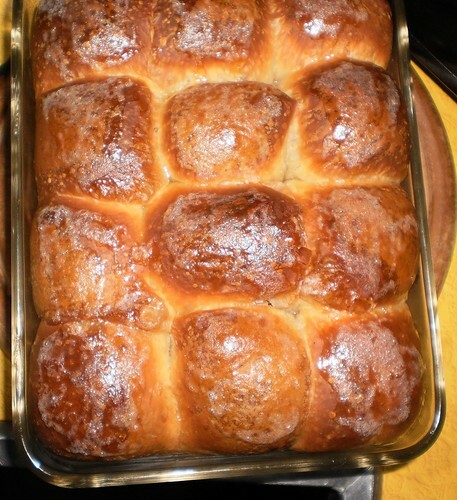 I've had frozen roll dough since Easter and I thought rolls sounded nice. Is there anything more comforting than the smell of baking bread? I don't think so, even if you didn't mix the flour, salt, milk and yeast yourself. When they came out of the oven, I brushed melted butter over the top. My knee may hurt, a lot, but this smell in the house eased it just a bit.